Our organization was created in response to an idea that there is both individual and community value in helping those in need and that one of the most fundamental needs is good food. Growing fresh produce and distributing it to those less fortunate meets a fundamental human need and is also a valued project defining our Island community. Volunteer or Donate or Do Both! Volunteers are always welcome and there is always plenty to do. In our struggling economy the number of people in need of donated food has increased every year since 2008. 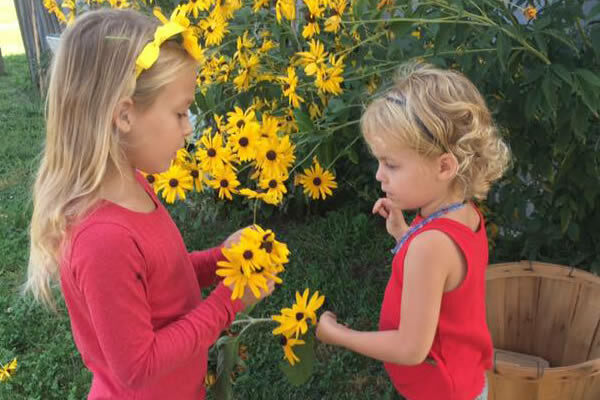 We cordially invite you to join in feeding the hungry by joining the Community Farm Patron program. 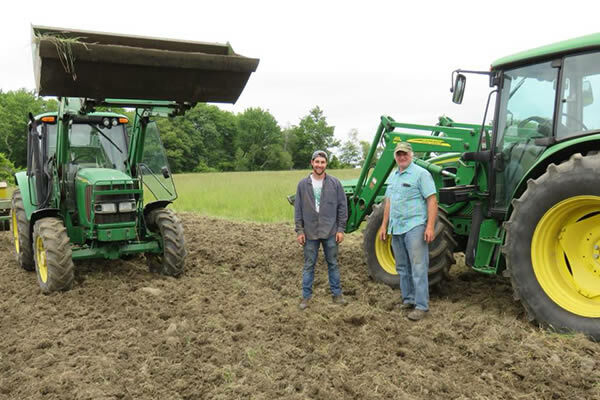 One hundred percent of your $100.00 tax deductible contribution will be used for farm operations including the annual purchase of vegetable seed, supplies and equipment repair. Our volunteer organization depends heavily upon financial contributions from our supporters and we thank you for considering this request. 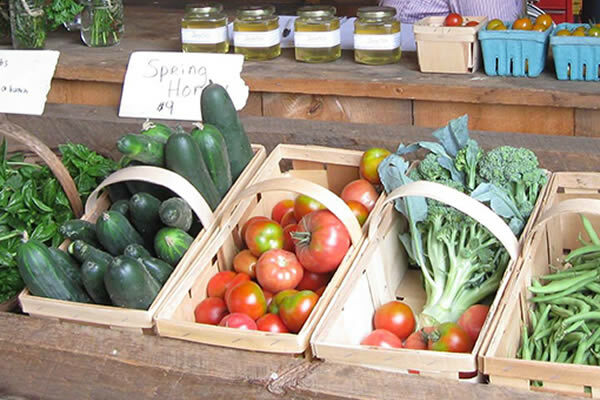 The Jamestown Community Farm Incorporated is a non-profit 501c (3) organization. Our organization was created 13 years ago in response to an idea that there is both individual and community value in helping those in need and that one of the most fundamental needs is good food. Growing fresh produce and distributing it to those less fortunate meets a fundamental human need and is also a valued project defining our Island community. From the outset our intent was: to grow and produce crops without the use of commercial fertilizers, pesticides and herbicides and to pursue a method of sustainable farming that systematically improves the value of the agricultural soil even as it produces crops. The Farm is committed to methods of farming that recognize and minimize the impact on the natural environment and the native populations of the Island’s flora, fauna and natural resources, including water. 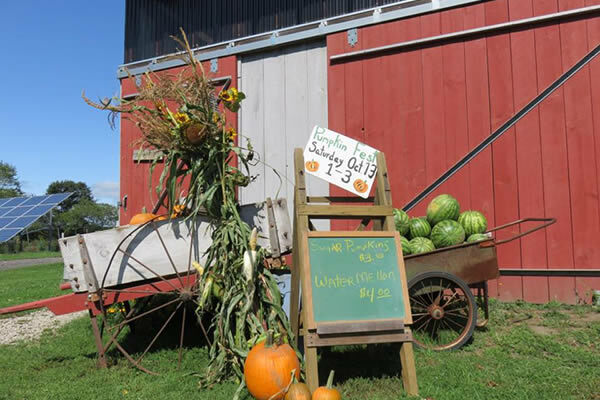 The Jamestown Community Farm exists on 17 acres of privately owned cleared farmland in the center of Conanicut Island, Town of Jamestown. It is located in the northern section of the Center Island Greenway, a 1000 acre recreational, historical, conservation and agricultural area, that runs down the middle of Conanicut Island from north of Carr Lane south to the Village. 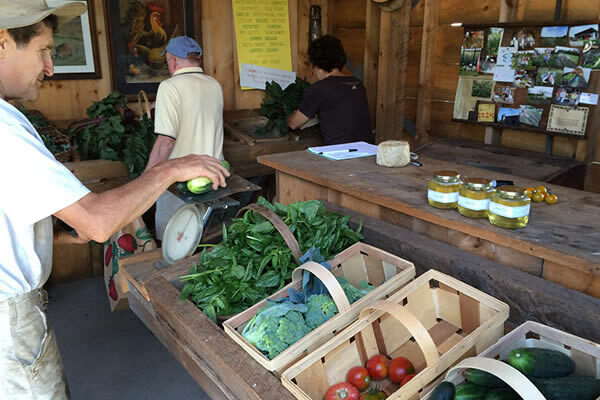 The Community Farm relies entirely on volunteer labor. The governing board and the Farm manager are volunteers. There is a core group of approximately 10 to 15 individuals and families that have, over the years, provided a dependable stability to the work force. In addition in 2012 we had some very excellent new volunteers to the Farm, both adult and young people. We had approximately 150 separate individuals of all ages show up to work. The Farm is an eligible recipient of student community service hours. Many private school students are required to perform community service and over the years we have participated in that program. (50 to 75 students annually) Several adults have also participated under the community service requirement. 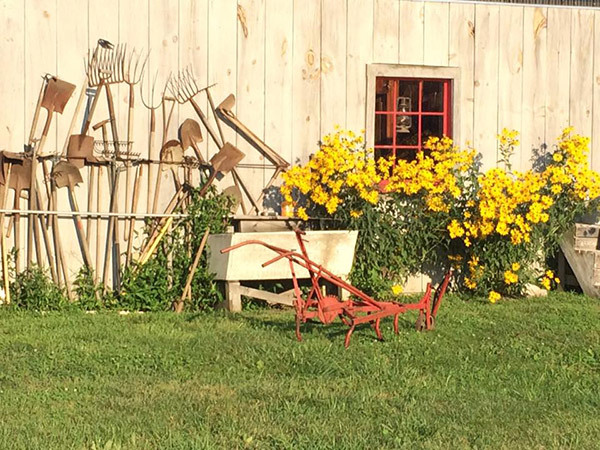 On approximately 4 acres, which is entirely surrounded by 8’ deer fence, we grow the standard variety of garden vegetables with the exception of corn which we do not produce. 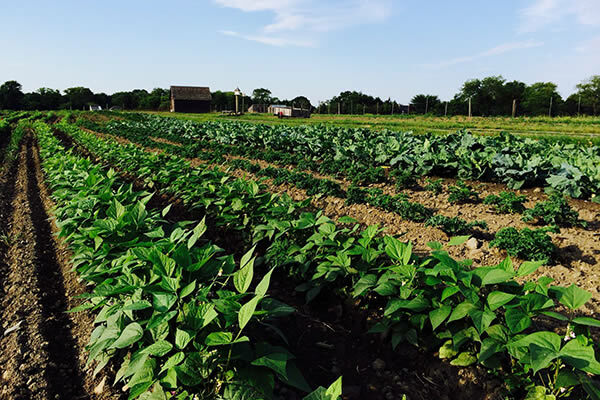 In 2012 which had excellent growing weather, we grew over 21,000 pounds of vegetables. In 2012 we also added to our honey production. We now have 12 functioning bee hives which produced in excess of 54 gallons of honey. We also manage in excess of 100 chickens that in 2012 produced over 1400 dozen eggs and provided a nitrogen rich fertilizer to add to the garden soil. The Farm also cares for 3 sheep that support the Farm aesthetic and promote a certain public interest. The remaining 13 acres of hay field produce about 40 tons of hay which is mowed and baled by a neighboring farmer and the hay crop is winter fed to a herd of “grass fed” Belted Galloway beef cattle located on Windmist Farm also in the Center Island Greenway. During the last twelve years we have grown more than 160,000 pounds of fresh produce and distributed this produce at no cost to food pantries and soup kitchens throughout the State: (Providence McAuley House, Newport Martin Luther King Center, Peacedale The Storehouse and Warwick House of Hope. 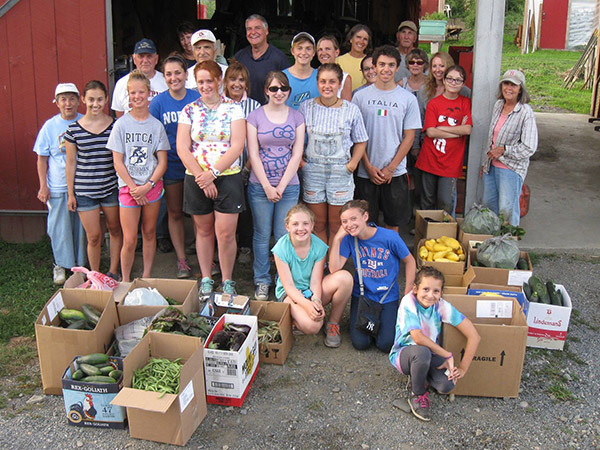 In 2012 we also worked with volunteers from St. Marks in Jamestown to distribute fresh produce to people in Jamestown. During the year members of the JCF Board visited each of the distribution sites. 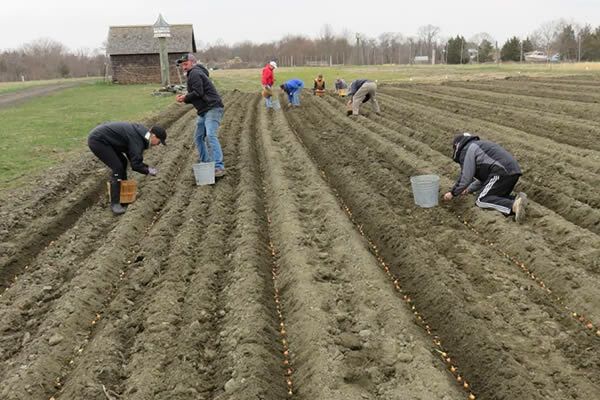 The Jamestown Press also wrote an excellent article about these distribution sites and the impact the Community Farm has on the quality of the food provided. In December one of our most faithful volunteers also conducted a food drive at the Farm. Sophie Perrotti organized and managed a one-day food drive that collected over 400 pounds of food for the RI Food Bank. 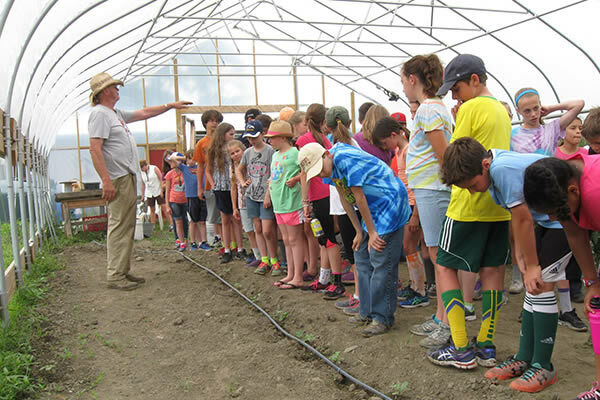 One aspect of the Farm that was not anticipated at the outset and has evolved and grown each year are the educational opportunities, both formal and informal, that the Farm provides. In 2012 we sponsored, a seed planting day at the Farm greenhouse, earth day open house, a film at the Jamestown Library on the growing trend of young people in agriculture, seminars on; the Farm’s photovoltaic power, the barn’s architecture, beekeeping, chickens, nursery school pumpkin day, pumpkin hayrides, and a natural wreath making workshop. In 2012 we completed the construction of the photovoltaic panels and the roof-water cistern, both funded by a grant from the Champlin Foundation. The farm now produces all of the electricity necessary to operate the Farm and stores all the rainwater necessary to supply the water for all farm necessities. We completed our first year in our newly constructed barn and found it to exceed, both in design and functionality, all of our wishes. There are two central interwoven and simultaneous missions of the Farm, critical to its sustainability and its growth. Improve the growing methodologies working particularly toward systems that continue to improve the soil and minimize the persistent weed and pest problems. Provide and strengthen our community service aspect especially with school educational programs. Maintain and improve our equipment and infrastructure..
Work with and strengthen the Farm’s relationships with the local and state agricultural community. Improve our marketing with the intention that the produce sales provide a significant portion of our annual farm operating budget. Continue to develop a plan for the perpetual protection of the 17 acre property in the event the current owner decides to sell. In season vegetables, herbs, eggs, and honey when available.